I just wanted to add a little running commentary to this video featuring Guru Daniel and Mas Kyle as there are lots of details that can be overlooked if lacking some additional background. 0:05 The term for this position in Javanese is ngapurancang (pronounced eng-ah-poo-rahn-chawng). This is a common position in Indonesia as it expresses humility and respect towards others. Conversely, standing with one’s arms behind the back is considered less respectful and standing with the arms crossed projects coldness and distance. 0:08 Pointing with the index finger is considered rude in Indonesia. It is more polite to point with an open palm like making an offer, but pointing with the thumb out and the fingers folded is considered the polite method. 0:22 Just another example of how block+check can come from anywhere. 0:50 While ngapurancang can have either the right or left hand on top, it is more common for the right hand to sit atop the left as the left hand is considered unclean in Indonesian culture. 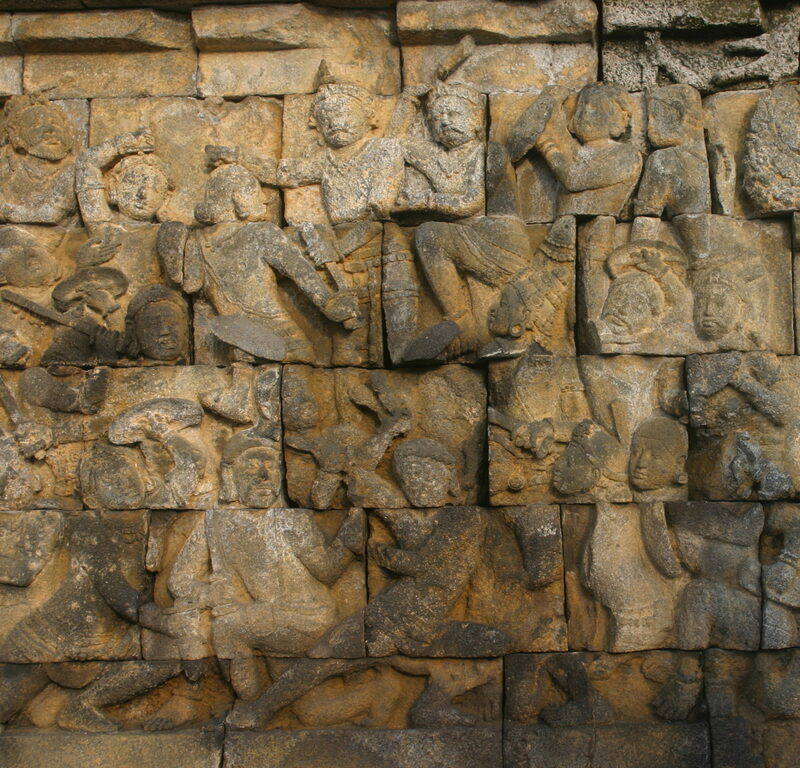 The right hand is shielding others from seeing something undesirable, much in the same way that Javanese blangkon hats keep the not in back. 1:01 Sengoang (pronounced suhn-go-awwng) with the arms forming an L-shape, and the palm just to the side of the cheek is a slightly more intimate position than ngapurancang. Though the position has changed, almost all of the same openings are available. 1:20 Up to this point all of the motion has been in the style of Mataram Central Java. If you look back on the previous opening, you will notice the range is longer and the posture more upright. Also pay attention to how when Guru Daniel engages with Mataram motion his chin is either level or upright. Now with the example of Madurese motion, the range closes to less than an elbow’s distance, the stances sink, and the chin is either level or looking down. For most the rest of the video Guru Daniel transitions naturally between both approaches.